A technology startup company based out of Chicago just launched a smartphone app that is available on Google Play and the Apple Store. The app is being compared to the Starbucks app. 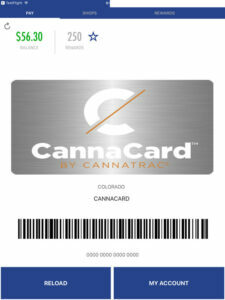 CannaTrac is slated to change and revolutionize the cannabis retail experience with the introduction of their app CannaCard®. Similar to the Starbucks app, cannabis consumers can make purchases on this secured platform which is designed to provide ease and convenience. Offering customers rewards is a technique that a lot of businesses use including Starbucks. Rewards programs allow businesses to engage consumers and encourage them to make purchases. These programs are also very effective customer retention tools. In fact, they help businesses collect data which offers an understanding of consumer habits and buying patterns. This allows the business to effectively communicate with the customer. When the Colorado cannabis market first began operations dispensaries became targets for gangs in the Denver area. Potential robbers would target dispensaries because they were more was more cash on hand than convenience stores. Mitch Morrissey the former District Attorney for Denver explained that criminals would choose to rob dispensaries because their mindset is “you hit a 7-Eleven, you’ll get 20 bucks. You hit a dispensary, you’ll get $300,000 on a good day.” The issue of safety is very serious for the cannabis industry. A California man was recently convicted of murdering a dispensary owner while robbing the dispensary. 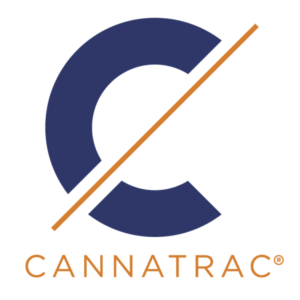 Overall, CannaTrac is an interesting company that provides a much-needed service to the cannabis industry. Banking challenges continue to prevent legal cannabis companies from utilizing traditional services and thus have been forced to operate in a cash-only manner. The CannaCard and corresponding app helps bring fintech solutions to the cannabis industry. The post CannaTrac Launches Cannabis Consumer App, CannaCard appeared first on Spotlight Growth.